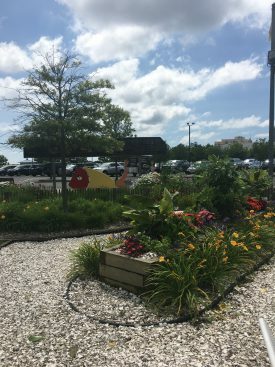 Share the post "Rutgers Master Gardeners of Atlantic County Bloom in PA Hort Society Contest"
Rutgers Master Gardeners of Atlantic County butterfly garden at Mays Landing Library. 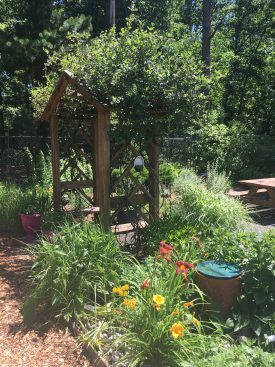 The Pennsylvania Horticultural Society (PHS) celebrates the accomplishments of gardeners in Pennsylvania, New Jersey and Delaware with its annual PHS Gardening and Greening Contest. The competition invites backyard gardeners, community gardeners and those passionate about greening their public spaces to enter. For three years in a row, the Rutgers Master Gardeners of Atlantic County’s (RMGAC) team for Gardner’s Basin/Atlantic City Aquarium garden have been Blue Ribbon winners in the PHS annual recognition program. In addition, several of the RMGAC demonstration gardens, as well as individual Master Gardener’s personal gardens have been named Gardens of Distinction winners. There were 387 entries in this year’s Gardening and Greening contest. 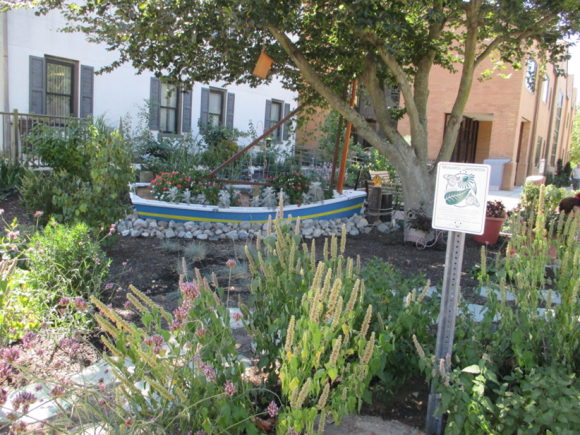 A reception to honor the winning gardens will take place November 14 at PHS in Philadelphia. RMGAC Demonstration Garden at Rutgers Cooperative Extension of Atlantic County office, Mays Landing. RMGAC garden at Gardner’s Basin, Atlantic City.